In Japan, there are a lot of teishoku restaurants. Teishoku (often translated as ‘set menu’) is a typical style of Japanese meal including a main dish, some side dishes, miso soup and rice. 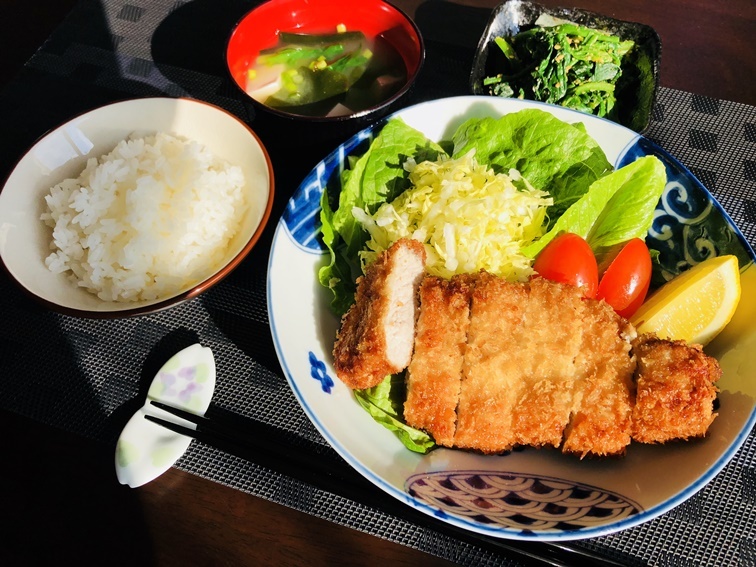 Tonkatsu, Karaage and Shogayaki are very popular from kids to adults. You do not have to clean up and wash up. Tonkatsu is deep-fried pork loin covered in crispy bread crumbs. 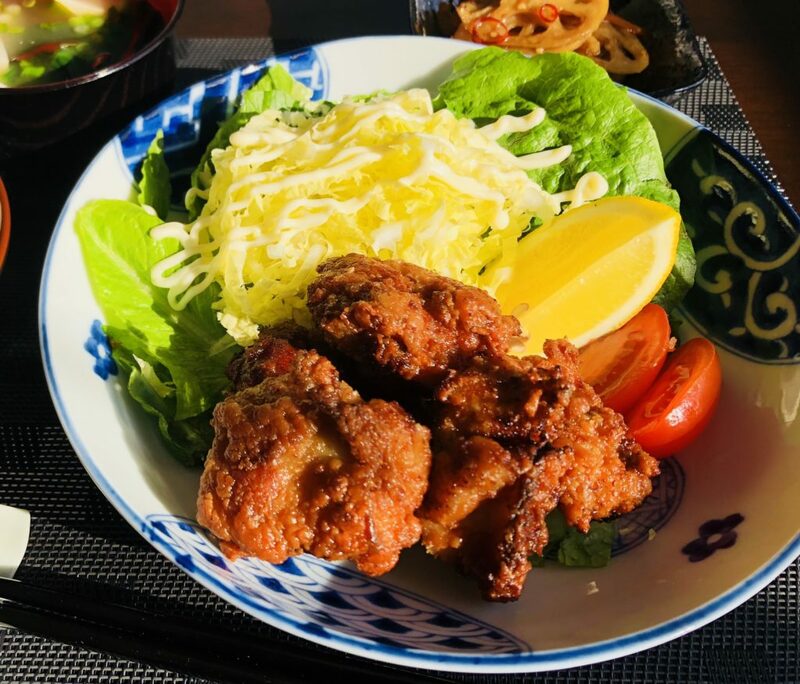 Karaage is marinated and deep fried chiken covered in crispy batter. If you need it to be gluten free, we will use a special gluten free batter. 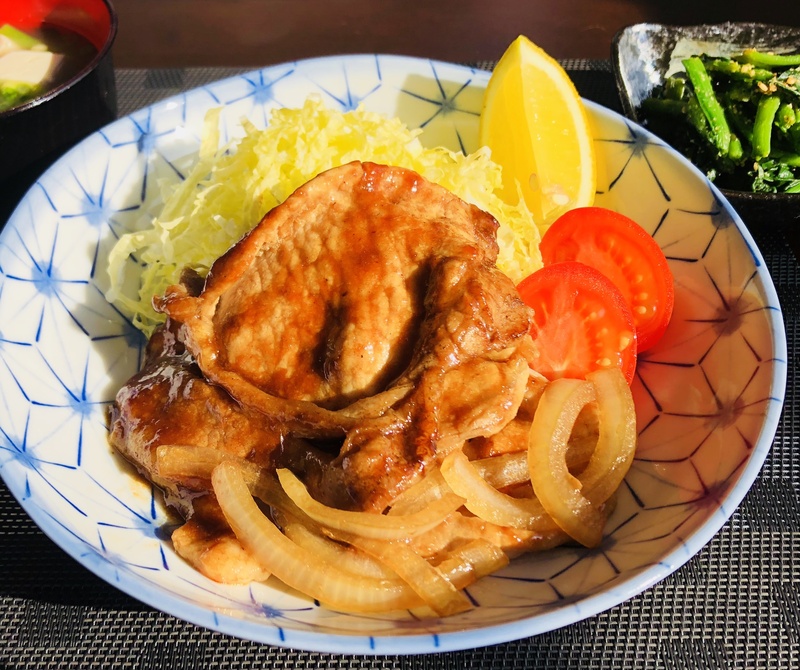 Shogayaki is pork marinated in a special sauce with ginger and soy. Copyright © Manami's Kitchen | Japan Foods'n Booze All Rights Reserved.